Kenyan data analytics startup FarmDrive has become the fifth investee of Safaricom’s US$1 million Spark Venture Fund, enabling it to scale its solution making financial services accessible to smallholder farmers. Launched in late 2014, FarmDrive provides a simple digital record-keeping platform that enables farmers to keep track of their farming activities using a mobile phone. The farmers’ data combined with existing agricultural data is used to develop a comprehensive credit profile, to be used for the farmers’ credit assessment by financial institutions when they need funding. The startup has over 3,000 farmers registered on its platform, and has helped farmers access over KES13 million (US$130,000) in loans to date. Safaricom today announced it has invested in FarmDrive, although it did not disclose the amount of the transaction. “In an era when market uncertainty is creating new challenges for the agricultural sector, mobile-based technology solutions like FarmDrive can empower farmers with the critical access to finance and to help expand their access to other essential services,” said Bob Collymore, chief executive officer (CEO) of Safaricom. The funds will be used to push FarmDrive into its next growth phase, enabling it to further build out its credit scoring model, as well as hiring staff in the areas of research, analysis and insight generation. “We are excited about this investment because it enables us to scale this innovation, score more farmers, unlock more capital, and grow the agricultural loan portfolios of our financial institution partners. This is all good for the inclusive development of our country,” said Rita Kimani, co-founder of FarmDrive. 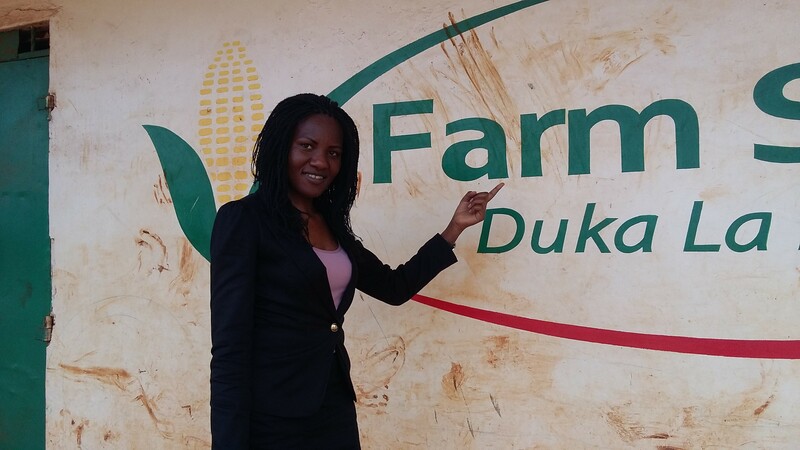 The investment is the second time FarmDrive has hit the headlines recently, beating off competition from 13 other shortlisted companies in October to win the US$10,000 first prize at the Thomson Reuters Africa Startups Challenge. Launched in 2014, the Spark Venture Fund has backed four other startups to date: on-demand package delivery startup Sendy; mobile research tool mSurvey; e-learning startup Eneza Education; and informal sector employment app Lynk. The amounts of funding provided have not been disclosed; however the Fund said individual investments range between US$75,000 and US$250,000.